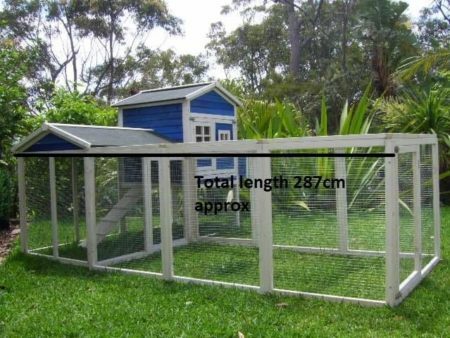 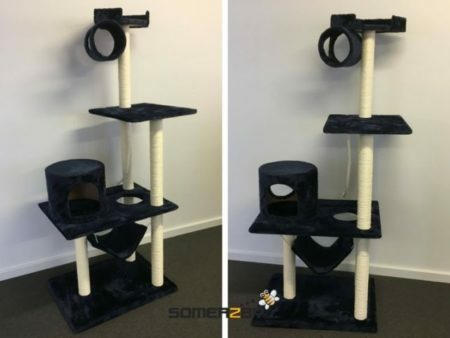 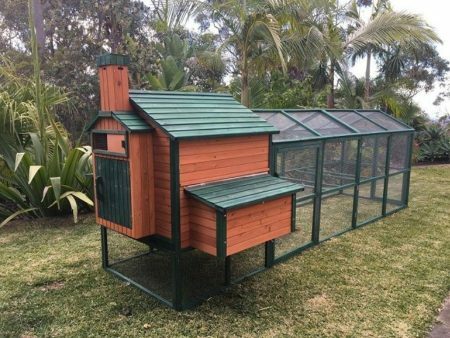 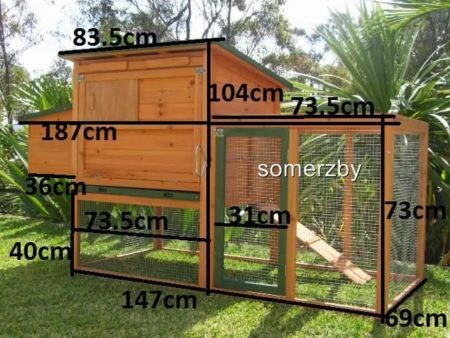 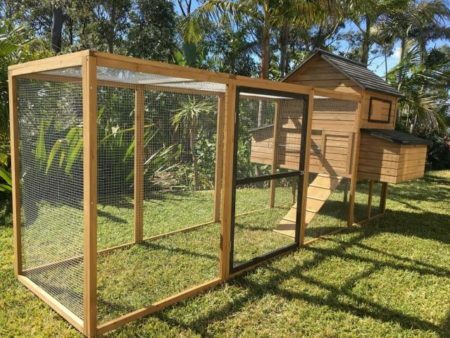 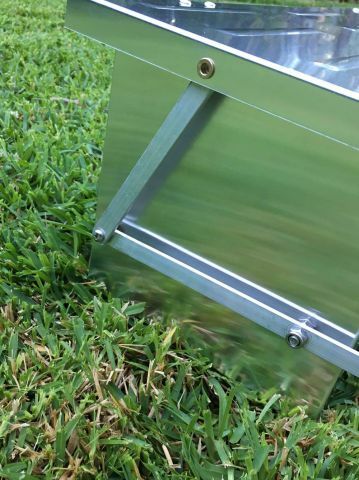 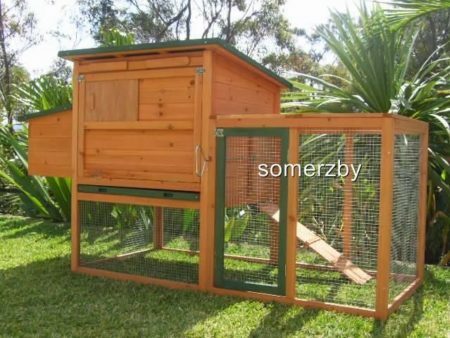 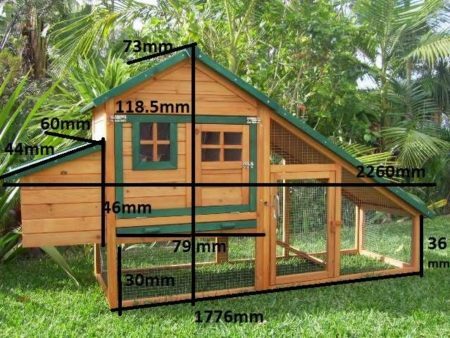 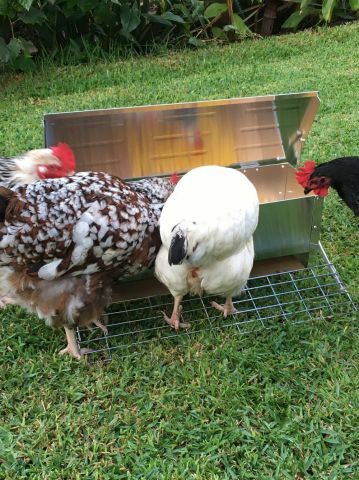 The Somerzby automatic Chicken Feeder saves valuable feed from rain and feral pests including rodents. 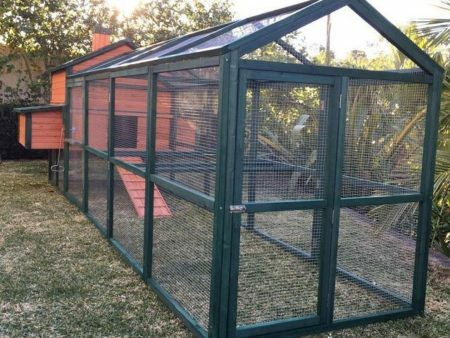 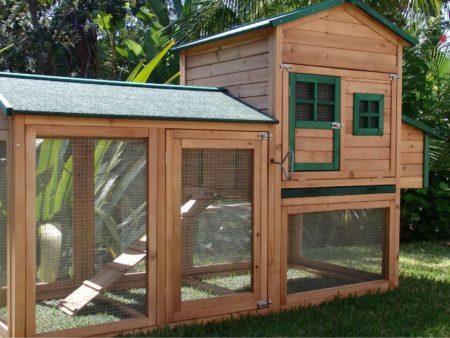 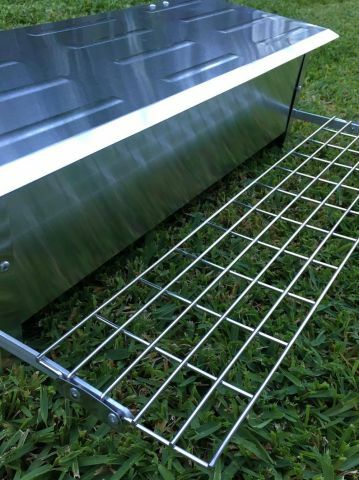 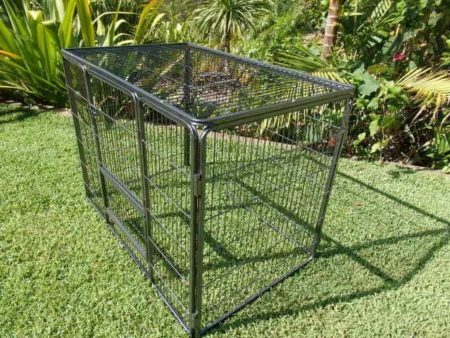 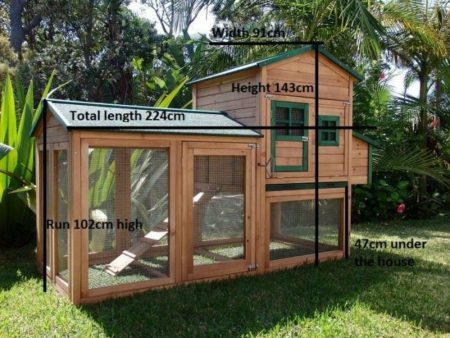 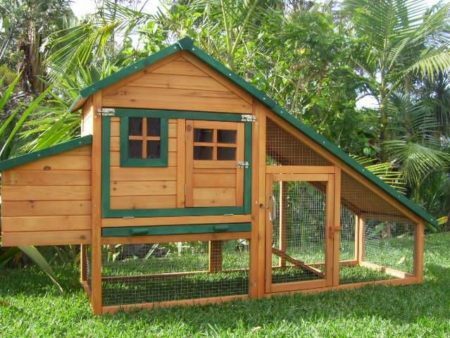 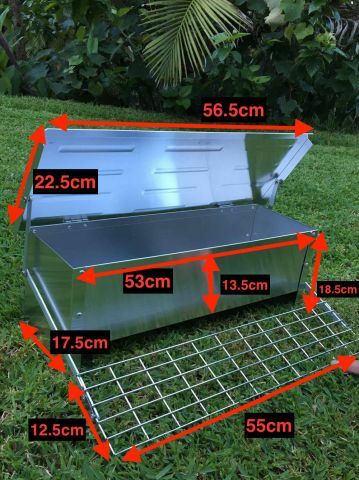 It is made from long lasting rust-proof aluminium and can be operated by chickens as light as only 500grams. 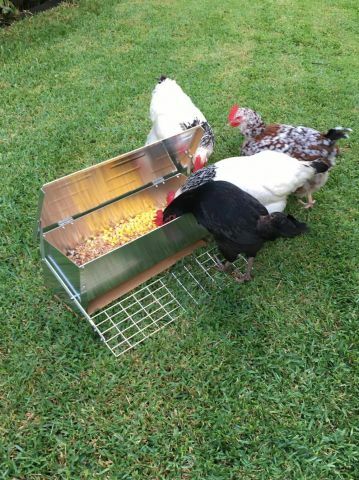 The Somerzby automatic Chicken Feeder saves valuable feed from rain and feral pests including rodents. 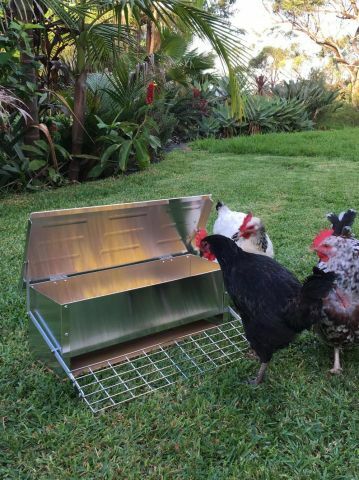 It is made from long lasting rust-proof aluminium and can be operated by chickens as light as only 500grams. 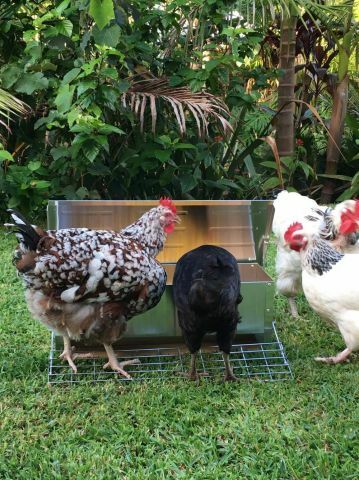 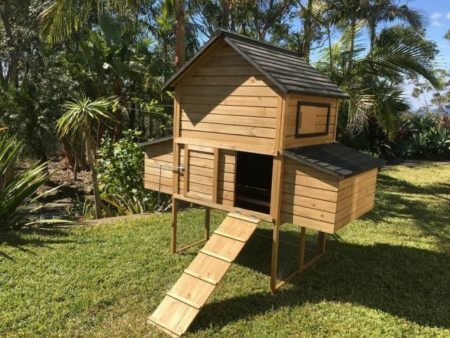 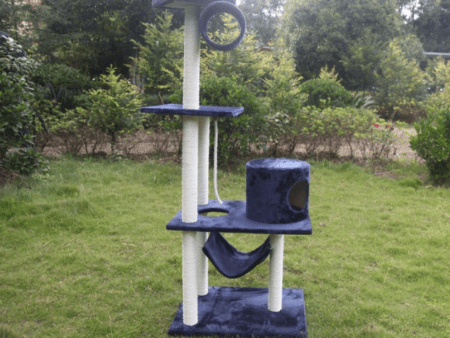 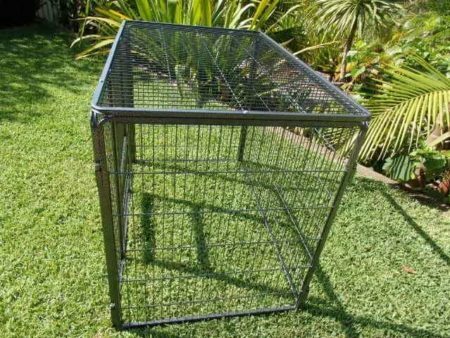 It is easy to train your chickens on how to use this feeder, simply encourage them to step on the lower ledge which automatically opens the lid. 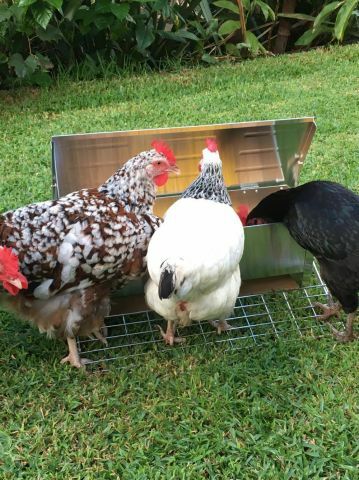 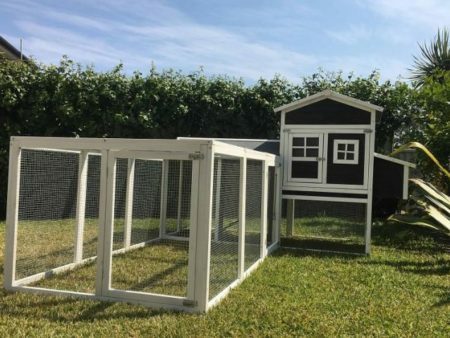 The lid is lightweight and slow closing so it will not hurt your chickens.